Inbound marketing is a methodology based on attracting your target customers, by accompanying them in the entire process from the time they first come into contact with the brand until they become loyal customers. Attract visitors and traffic to their websites. Push these visitors to become potential customers, meaning, contacts who are potentially interested in converting and with those who is possible to establish a long-term relationship. Automate the marketing process so that conversions take less than expected. As a fundamental characteristic of this methodology, it is necessary to emphasize that non-invasive techniques are always employed: it is merely about inviting the client to come to us instead of breaking into his daily life with aggressive advertising. 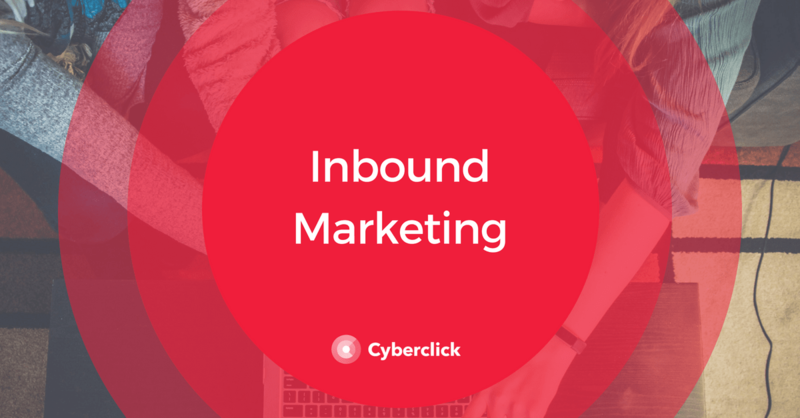 To better understand the process of inbound marketing, we must keep in mind that it is structured around 5 grounds: traffic attraction, conversion, marketing automation, loyalty and analysis. In order for the entire process to start, the first step is to attract users to the brand's website. However, we do not seek to generate visits in a massive way, but to focus on bringing quality users to the website, users who match your ideal client profile. SEO: If you work on positioning your website within the first spots of the main search engines, your website will work as a response to the user's needs at the right time. Content Marketing: offering users valuable content at the moment they need it will reinforce the attraction process. Social networks: using them as diffusion channels to help your content reach users. Once the user has reached your website, you want him to leave his data to become a lead and continue to receive our information. To convert users into potential customers, the classic strategy is to provide them with valuable content in exchange for leaving their data in a form. But there are many more options, such as offering test demonstrations, meetings, or interacting with them through a phone call or chat. In any case, the objective will always be to get their data and add their information to your database. Leadscoring. A technique based on designing an evaluation system that allows you to objectively assess the likelihood of a lead becoming a client. Leadnurturing. Based on the score obtained and the characteristics of the lead, you design a series of automatic flows to send relevant information to your contacts according to their needs. The process does not end when you manage to convert a lead into a client. The next step is to get this client to stay with you for as long as possible as a result of loyalty strategies, such as newsletters, offers, and incentives. Designing an effective loyalty strategy is very beneficial for the company, since maintaining a client is much less expensive than acquiring a new client from scratch. No inbound marketing strategy is complete if you do not have a plan to measure and analyze the results. For this, you will have to carefully define the KPIs (key performance indicators), that is, the most relevant metrics to assess whether your strategy is succeeding or not. It is also necessary to establish periodic controls to analyze the present results and adjust the previously established actions depending on them. This will make your inbound strategy improve over time. Inbound marketing is based on accompanying users throughout the process from when they meets us until they become a loyal customers. Therefore, it is important to know in detail how this process works and which strategies are the most appropriate for each stage of it. The conversion funnel is an essential tool to understand this process. It is a graphic representation of the different stages of the consumer's journey. Its funnel shape is due to the number of users decreasing in each stage, that is, if we want to achieve X conversions, the number of users we have to attract to the website is greater. TOFU (top of the funnel or first contact). In this phase, users have just detected they have a need which they attempt to solve. Therefore, in this phase we must have content that responds broadly to the different needs of users, such as ebooks, infographics or tutorials. We can also use display advertising, video campaigns on social networks and native advertising. MOFU (middle of the funnel, when the user is evaluating different options). After the initial investigation, the user considers different options that could potentially satisfy their need. Here, it is necessary to offer content with a higher degree of specialization, such as interviews with experts, detailed guides, testimonials or videos that show your product. Among the most appropriate advertising strategies are email marketing, social ads, and retargeting. BOFU (bottom of the funnel or final closing of the sale). Here, the user is practically ready to convert and only lacks the final impulse. To encourage him, we can offer free trials, launch offers and specialized services. Regarding the promotional channels, the user communities, SEM and social ads stand out. Generates a qualified lead and 12 registrations for every 370 visits. It can duplicate the qualified marketing contacts of a company by two in a year and multiply them by 7 in two. As for the leads, in just one year they multiply by 5 and in two, by 14. And of course, it also increases visits to the website of the brand: in the first year they multiply by 4 and in the second, by 12. In addition, inbound marketing is effective for companies of all sectors. B2Bs have more conversions from visit to registration, but in return, B2C registers a greater increase in accumulated visits. Own content that positions the company as an expert in the sector and that can be profitable for years. Own channels for organic and direct customer acquisition, that is, independent of the means of payment. A database of qualified contacts that will grow over time. Greater reach and community around the brand. Strengthening branding or brand image of the company, thanks to the greater number of visits and interactions achieved. A series of marketing automation processes that result in permanent resource savings. SEO: the advantages of SEO (search engine positioning) in inbound marketing and how it can help you attract qualified traffic to your website. Content: the content strategy is an essential part of inbound marketing. Discover the keys to create relevant and valuable content to attract more visitors. Social: social networks are fundamental channels of diffusion within your inbound marketing strategy. Discover how to take advantage of its organic and paid potential. Generation of leads: the goal of any inbound strategy is to generate quality leads on a regular basis. Inbound marketing vs. outbound marketing: Both inbound and outbound can help you achieve your goals globally. Here, you can find out the differences between them and how to conjunctively use them in your strategy. And do not forget that there is still the most important step: start your own inbound marketing strategy! If you are looking for ways to attract new customers and retain them long term, we would love to help you with that goal and be part of your team. We can help you attract visitors to your website, accompany them throughout the conversion process and automate the communication process to make your life much easier. How can we help you with your inbound marketing strategy?